Putting an end to a week-long mystery, the family of billionaire casino mogul Sheldon Adelson confirmed Thursday morning that it has "purchased the Las Vegas Review-Journal through a wholly-owned fund." The family said in a statement that it was "proud to announce" the acquisition, and said it never intended to keep the news a secret. The statement was printed in Thursday's edition of the Review-Journal, alongside a thoroughly reported story that used anonymous sources to identify Adelson's son-in-law Patrick Dumont as the broker of the deal. It was a strange juxtaposition. The sale of the newspaper was announced last Thursday. At the time, the new owners were not identified, which caused widespread concern in the Review-Journal newsroom. "We understand the desire of the hard-working staff at the R-J and others in the community to know the identity of the paper's new owners, and it was always our intention to publicly announce our ownership," the family statement said. Why the delay? "This week, with each of the Republican candidates for president and the national media descending on Las Vegas for the year's final debate, we did not want an announcement to distract from the important role Nevada continues to play in the presidential election." 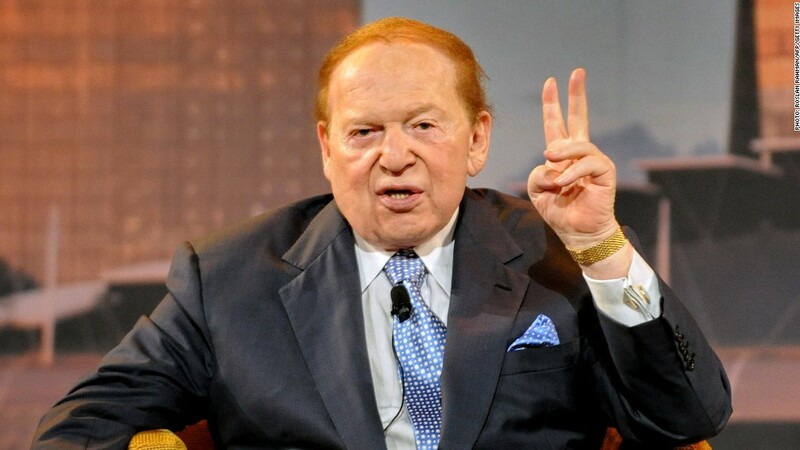 The GOP debate took place at Adelson's Venetian casino. The family said its motivation for buying the paper "is simple ... we believe deeply that a strong and effective daily newspaper plays a critical role in keeping our state appraised of the important news and issues we face on a daily basis." Others have been more skeptical of the family's involvement, since Adelson is a major player in Nevada politics who has donated millions of dollars to Republican candidates across the country. The Adelsons noted that "the management team from New Media, which is currently running the R-J, will continue to oversee the operations of the publication." The statement added, "The family wants a journalism product that is second-to-none and will continue to invest in the paper to achieve this goal."